Characteristics: • A Very Dark Blue-Green Color • Dwarf Growth Habit • Strong Overall Disease Resistance • Very High Tiller Density • High Drought Tolerance • Good Tolerance to Close Mowing Recommended Use: Golf Courses (Fairways, Tees and Roughs), Sod Farms, Athletic Fields, Parks and Home Lawns Establishment & Maintenance: As all bluegrasses, requires 2 - 3 weeks for complete germination. 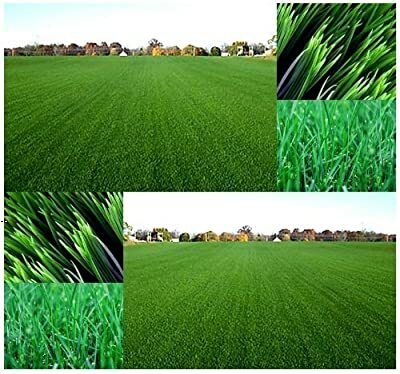 Color may be observed before that time; however in good growing weather where soil temperatures are above 65º F (18º C), expect 8 to 10 weeks for a complete stand of grass. The first mowing may be expected in about six weeks. Good mowing qualities and can be maintained at a cutting height ranging from 1/2 inch to 2 inches (12 - 50 mm). Does well in sand or heavy clay soils, and like all bluegrasses, performs best in soils with a pH of 5.5 to 8. Three to five pounds per 1,000 square feet per year is adequate in most areas of the United States. Seeding Rates: Golf Tees, Home Lawns: 2 - 3 lbs per 1000 sq. ft. This Order = 1 LB of Seeds ~!! 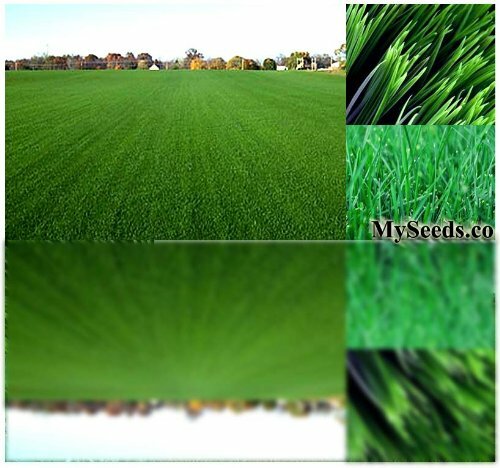 Kentucky Bluegrass Seed ~!! A Very Dark Blue-Green Color ~!! S&H is FREE or a Low Flat Rate ~!! See Description Below for OUR Special Offers and Product Promotions ~! !